Throughout a 30-year career at M&T Bank, Gary D. Keith has provided economic research and analysis support to M&T’s executive management and commercial banking business units. 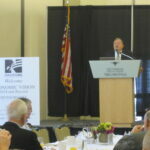 Mr. Keith fielded questions from an engaged audience of business and community leaders. This is the 3rd annual Economic Vision and Beyond event. We are honored to have Mr. Keith share his expertise and foresight on this very relevant topic. This is the 3rd annual Economic Vision and Beyond event. We are honored to have Mr. Keith share his expertise and foresight on this very relevant topic. The Niagara USA Chamber is committed to shaping our county’s future. 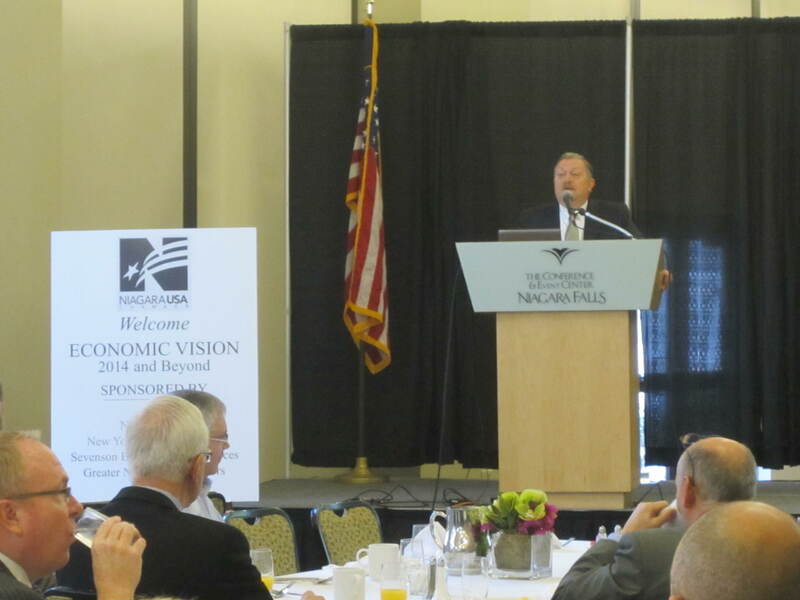 Our Vision 2014 initiative imagines a county built on a vibrant and robust economy. This is event is a can’t miss and we hope to see you in 2014! To view the Power Point Presentation from the Economic Vision 2014 and Beyond: Creating a Vibrant Future event CLICK HERE. Visit us on Facebook to view all our event photos!